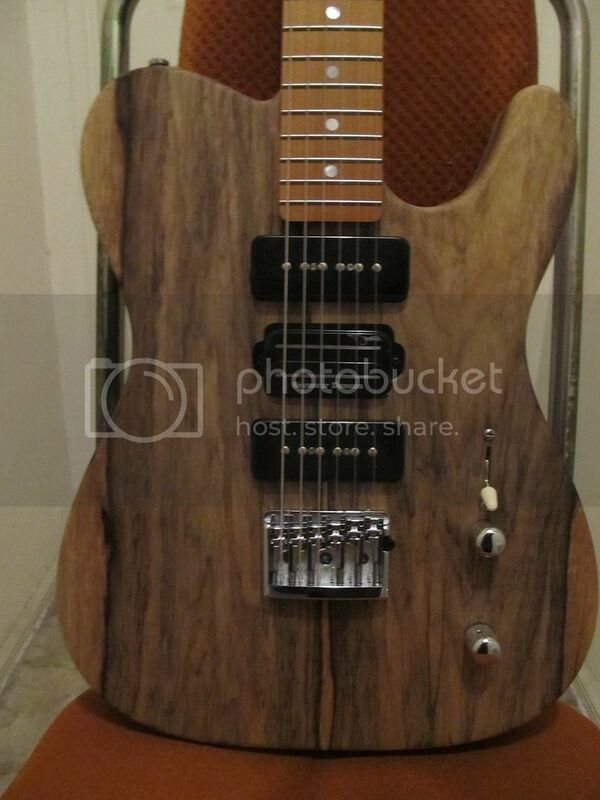 Warmoth carved top Mahogany body, Warmoth highly flamed Maple neck. Seymour Duncan Antiquity P90s and Bill Lawrence XL500 pickups. 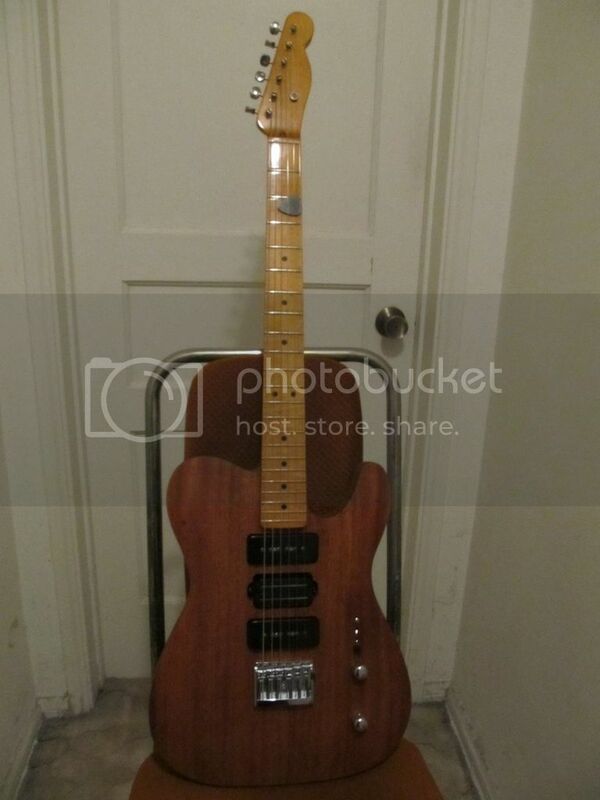 Warmoth Swamp Ash body, Fender Maple neck, Seymour Duncan Antiquity P90 and Tele bridge pickups. Warmoth Black Korina capped with Bloodwood body, Warmoth Bloodwood neck with Rosewood fretboard and Canary skunk stripe, Seymour Duncan Antiquity tele and P90 pickups. I also have a more recent build that I have not taken photos of as of yet. Warmoth Alder capped with quilted Maple, Warmoth Maple neck with a reverse headstock and Rosewood fretboard, Seymour Duncan Vintage mini humbucker in the neck, SD Vintage P90 in the middle and an SD Five-Two tele pickup in the bridge. I find that the tone and playability of all of my guitars are quite satisfactory and bring me much joy. 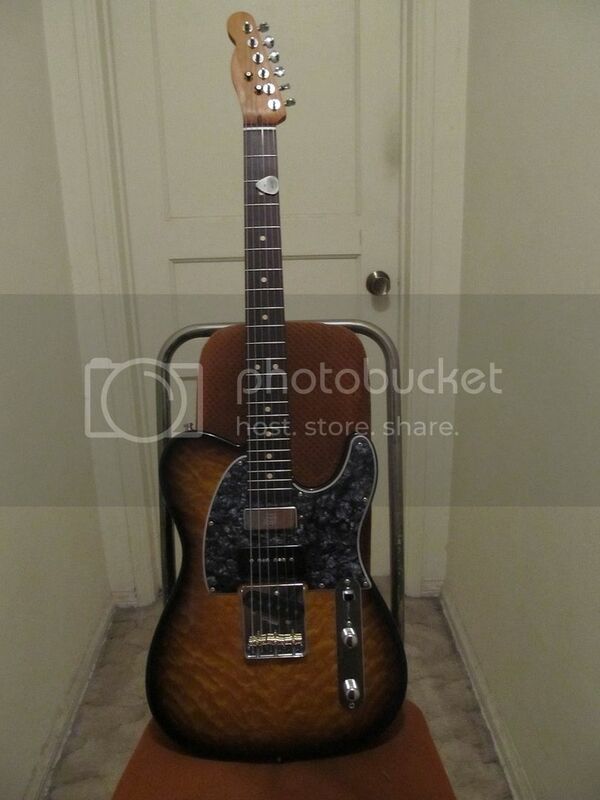 I have forgotten another tele build. 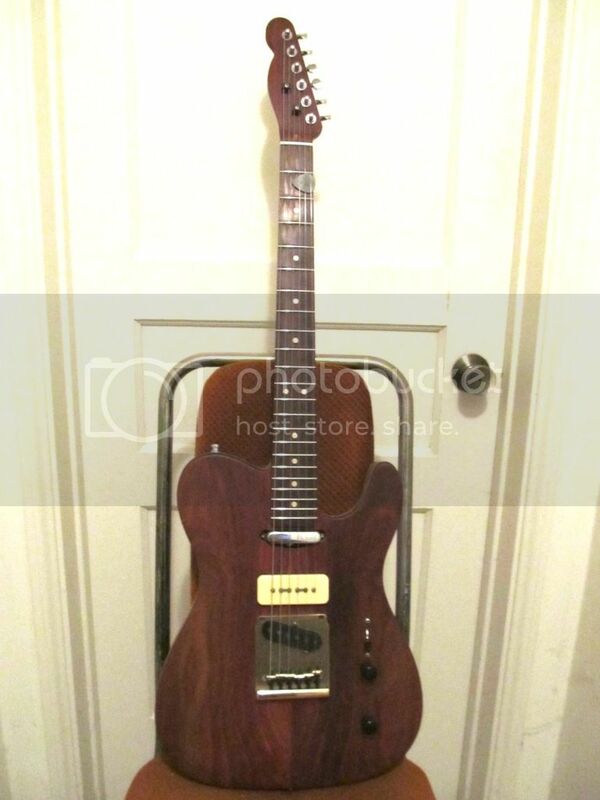 I have an Edenhaus Mahogany body, Edenhaus maple neck, Seymour Duncan Antiquity P90 in the neck and a Seymour Duncan JB Model in the bridge. 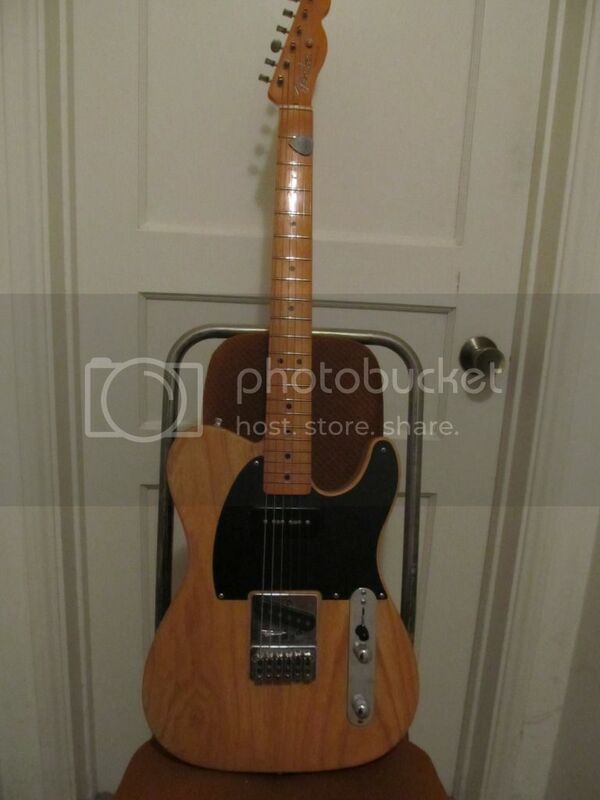 an outstanding tele that isn't quite the norm.